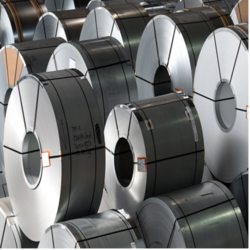 Our product range includes a wide range of aluminium cold rolled coils. We are the manufacture Aluminium Cold Rolled Coils from continuous cast coils from our Strip Caster. The cast coils are cold rolled down to the required thickness. We also manufacture sheets in customized thickness, width and length.